Hello! It's winter here in Australia and here in Tasmania it is really windy - there was an even a mini tornado which is not a normal thing for us down here! Do you have crazy weather like that? What have you been doing to keep busy? I am on the last bit of my Raceway Wrap, just knitting the binding, yay! 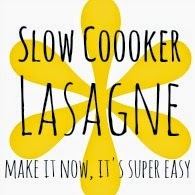 This is the easier ever way to make a lasagne - nothing is cooked on the stove, nothing baked in the oven, it's all done in the slow cooker on your benchtop AND there is only the one thing to wash - just the slow cooker dish! Too easy! So, I wanted some buttons but couldn't be bothered going into town with a toddler & baby in tow. What to do..... online shopping of course but this does mean that the project needing those buttons gets stowed for a bit whilst I shop, then wait for delivery etc etc! I kinda got a little distracted and have had a crazy idea to make them myself - here are some fab molds that I'm coveting ...but which one/s to choose? 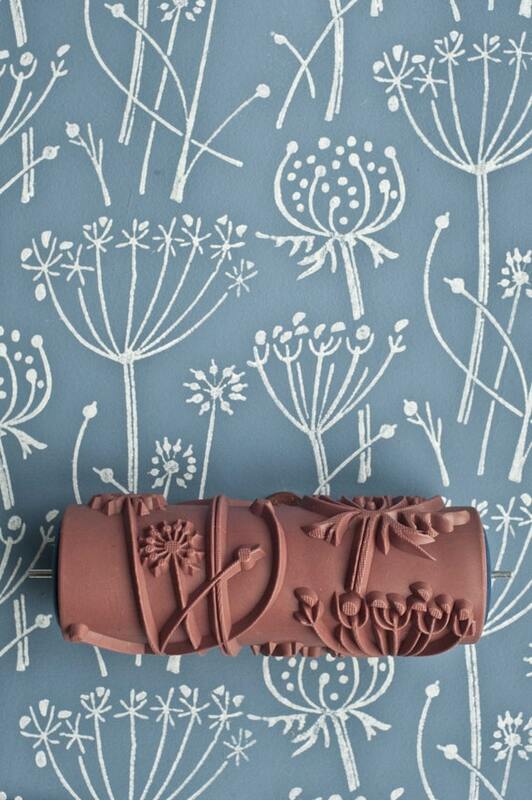 Do you use project bags for your craft projects or WIPS? I sure do, I use them for my knitting, crocheting, sewing, felting, button collecting, penpal writing etc but I could always do with another bag. I needed or should I say, I wanted to make another project bag when I thought I'd make two but who should I give the other bag too? Hmm, maybe you? Perhaps you'd like a new project bag too, perhaps you want to make a project bag as well. Hmm.... let's combine the two.... a swap is born, The Project Bag Swap! 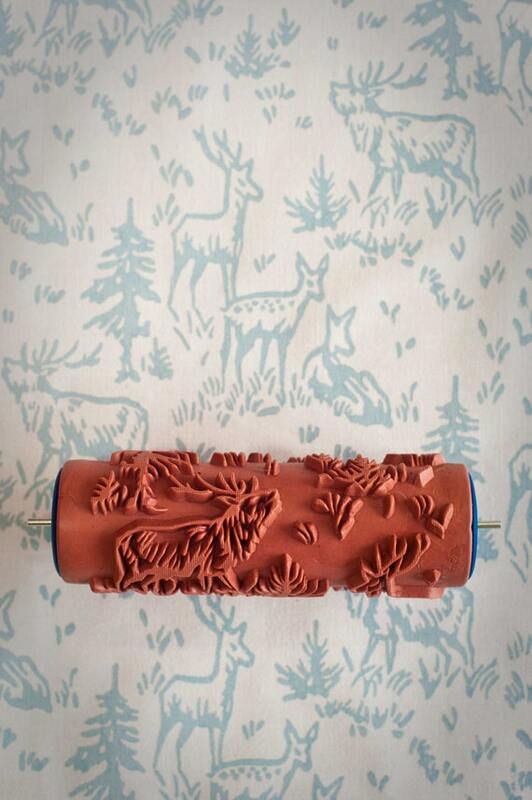 How fab are these paint rollers, can you just imagine the fun you could have with them! 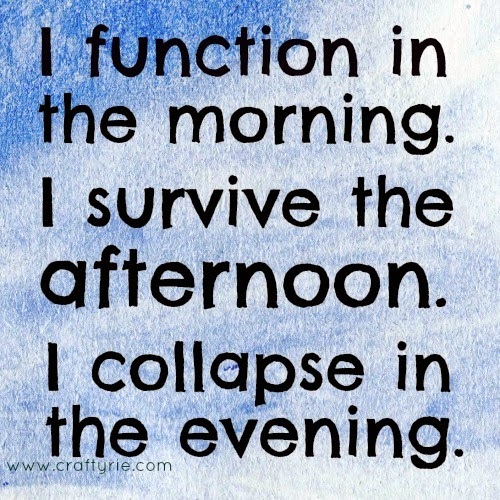 This is how I spend my day, is this you too? There are 52 weeks in a year yet they can disappear so fast, I just wanted to take a few minutes each Monday to capture (in a few words) where did the week go and to share what was made/seen/baked/eaten/heard. I have finally, finally managed to catch up on my Crochet Mood Blanket! Whoo hoo!!!!!!! ...that is until Sunday then I will have a weeks worth to add to it! So, tell me.... does it look ok? Does it look too bitsy? You may remember me telling you about a Creative Exchange swap (this is what I sent & this is what I received), anyway, the time came to make something from what I received. I put my thinking cap on & thought I could make a garland for my mum's 70th birthday which is coming up. You see she has been a knitter & spinner for about 40 years, so I thought it would be kinda cute to add something woolly to the birthday festivities. Yes, this post is purely to inspire me! 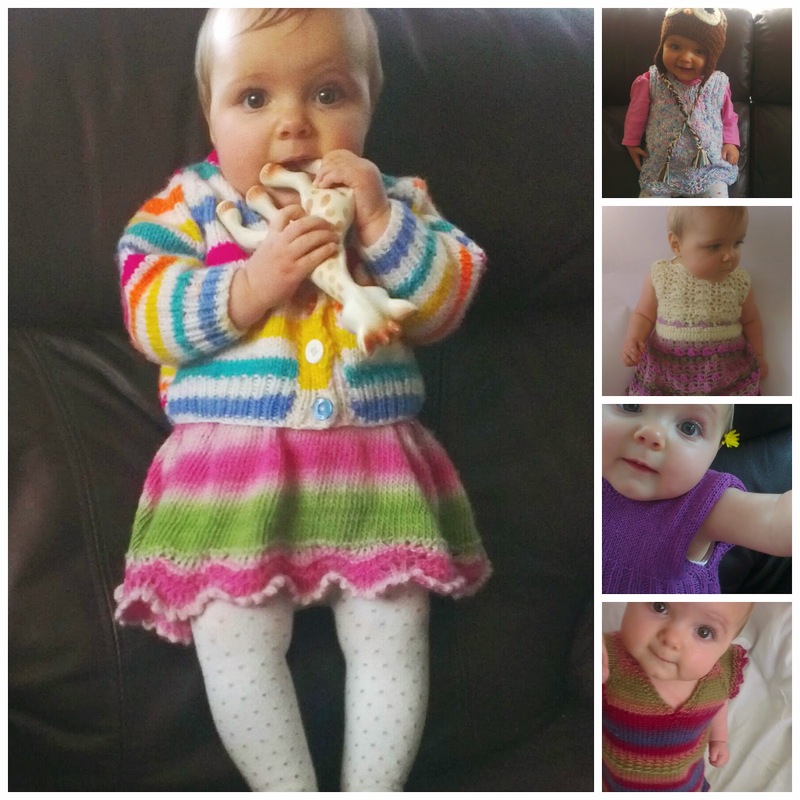 It's full of piccies of my beautiful baby girl & the slow growing Crochet Mood Blanket - I'm still trying to catch up with the squares but I thought if I'd put up some pics with my baby girl in them you can see the size of the blanket by using her for scale! Hello July! Wow, can you believe that we are half way through the year already! My lil baby girl will be 10 months old next week and I've already started to think about Christmas! Now that we are into the seventh month, I thought I'd better make an attempt to catch up on my Crochet Mood Blanket, remember it's a small square for every day & a bigger square for every week.... well, surprise surprise, I've fallen behind joining them! Ok, so I told you how my knitting & I 'broke up'...the good news is that we are friends again! Yay!